California’s sanctuary state bill will expose more dreamers and their families to possible deportation. SB 54 by Senator Kevin de Leon (D – Los Angeles) aims to build on existing state law, the TRUST Act, which prohibits local law enforcement from detaining undocumented immigrants in order for Immigrations and Customs Enforcement (ICE) to take custody for deportation proceedings. The TRUST Act does not apply, however, to people convicted of serious felonies. SB 54 goes even further by saying that local law enforcement cannot allow ICE to interview any prisoner, and will only share the names and release dates for criminals who were convicted of certain felonies. This list of felonies does not begin to cover the most dangerous criminals in our jails. Felons convicted of human trafficking, child abuse, stalking, exploding a destructive device to terrorize, elder abuse, and street gang recruiting are not part of the list. The federal government has made it clear that their priority is to find undocumented people convicted of serious crimes already in our jails and prisons and deport them before their sentence ends and they are returned to the streets to prey on their community. SB 54 may very well make a reality what has thus far only been social media hoaxes and fear mongering: immigration checkpoints and neighborhood raids. ICE agents have said they would have no choice but to go door to door looking for convicted felons if local law enforcement is prohibited from assisting them to locate these violent criminals already within our jails and prisons. With limited or no information exchanged with local law enforcement, ICE would have to carry out their duty to apprehend those identified as the greatest threat to our public safety by combing through our neighborhoods. This endangers the remainder of the undocumented community because, as we saw with the ICE enforcement actions in Los Angeles earlier this year, their priority is violent criminals but will arrest others if encountered in the process. With over 11,000 felons in our prisons with ICE holds, there are more than enough to keep immigration officers busy without having to search the streets for deportable felons. Cutting off their access to the jails and prisons is only going to slow down the deportation of felons while exposing the rest of the undocumented community to more contacts with immigration officers. For those who agree that cutting off ICE’s access to felons in our jails and prison puts everyone in our community at risk, please visit my website and sign my petition at senate.ca.gov/anderson. —Sen. 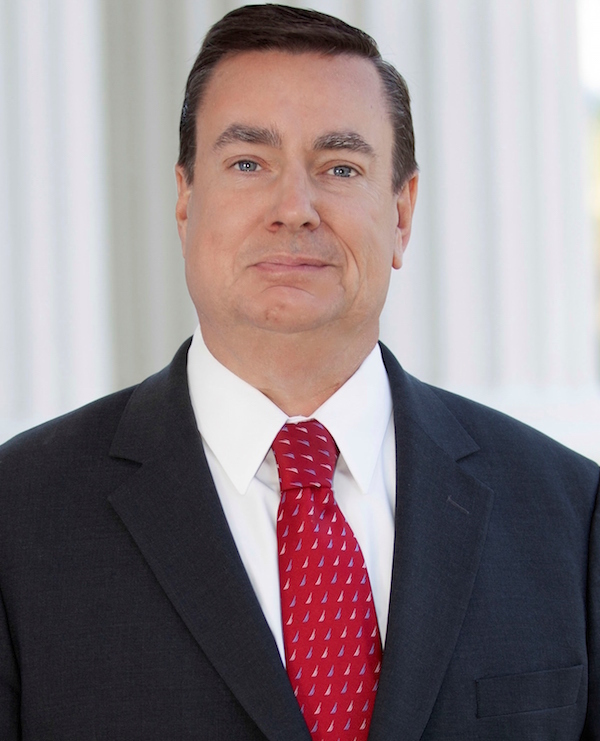 Joel Anderson’s 38th Senate district in the California Legislature includes La Mesa, Lemon Grove, El Cajon, Santee, Poway, Escondido, San Marcos, Lakeside, Valley Center, Rancho Santa Fe, Julian, Ramona, Rancho San Diego, Bonsall, Borrego Springs and Fallbrook. He was first elected to the State Assembly in 2006 and to the State Senate in 2010.